I am trying to find out how much it will cost for my Thai Wife's sister to transfer the Title of their house into my wife's name. The house it located in Bangkok. Basically looking for any info on what it will cost do the paperwork and are there any other fees or taxes that will need to be paid in Thailand. My friend who is a realtor here in the USA, says it is a simple transaction here (in the USA) that will cost about $50 to do a "Quit Deed" ….so just trying to find out what a similar thing in Thailand will be. NO money is changing hands at all between my wife and her sister. If need be, do you have, or can you recommend a legal person who could make sure this transfer of Title is done legally and correctly? Business Tax 3.3% over the registered (sale) value or appraised value (whichever is higher). However, the Business tax 3.3% is exempt if the seller is a person and the property is transferred to a legal heir or heir in a will in an estate; and the seller has had the property for more than 5 years and it was the seller’s principle place of residence and the seller’s name is in the house papers for at least 1 year before the sale. Sunbelt Asia Legal Advisors can assist in the legal transfer of the title, as you can see – it is not as straightforward as the United States. This place is for residents only. Day / week / Month Rentals are not allowed and illegal. If you are honestly Not familiar with Thai law, Please contact the Juristic person office. Travelers who do not report to the juristic person will be arrested by the police as trespassers and prosecuted to themaximum extent of the law. So what should I make of this? Could I really be put in jail for renting an apartment? I have my doubts but of course I'm not in Kansas anymore either. Interestingly enough the sign is only in English, if they were looking for snitches to report us, you would expect them to post it in Thai also. Is it possible this notice is just a show for insurance companies, the police, and cranky condo owners? Also could I get my money back somehow through the courts if I got booted before the time I've paid for is past? The land lady certainly represented that she had a clear and legal right to rent this apartment to me. The reason the apartment would put out such a sign is because they have not got a hotel license which they need in order to rent out rooms for only a short period of time, since they have an apartment license they cannot let a short time tourist stay there. You will not be arrested for staying there but if there is a control by authorities then you will have to pay a fine and the management of the apartment could have serious problems. Staying at an apartment is only permissible if a lease of at least six months is signed and the resident has to be reported to immigration. Recently I was in Bangkok on business after a long absence. At the end of my trip, I asked my expat colleagues that live in Bangkok why we hadn't gone to any gogos or gentlemen's clubs on this trip. I told that the proliferation of social media and people posting on common social media sites, and showing peoples' identities was now not a very good idea to attend these establishments. I concur. Having had fun in several of those establishments over the course of a decade and a half, and me and my colleagues never having more than a few beer in a fun environment, it struck me that being placed in such an establishment for the whole world to see is very risky behavior on several levels, regardless of the intent. Can one expect any form of privacy in private businesses in Thailand? Are these people filming in those establishments breaching any part of the civil or criminal code? What legal recourse can be sought against entities such as YouTube and the creators of such material should loss of income or other hardship be realised by the publication of a video placing someone at "time and place"? According to the Computer Criminal Act it is forbidden to publish content if it brings loss of reputation to the individual who is published and a criminal complaint can be filed and the video or photos can be asked to be removed. However, since bars are public space there is no law that prevents the person from taking photos or filming as this is considered as permissible unless the owner of the establishment does not allow it on his premises. In November 2014 a condominium unit was transferred to a new owner. The usual declarations were made by the Juristic Person of the condominium that there were no debts associated with the room and the declaration was accepted by the Land Office and shown on the transfer papers. About the same time a management company was appointed to run the Condominium. Shortly after the room was transferred in 2014 the Juristic Person and an office worker were dismissed after money was found to be missing. These people were ordered by a Thai Court to repay the money in instalments, but I understand that they have defaulted on the payments. In January 2015 I signed a lease on the room, the lease does not specify who is responsible for paying the common fee. I then started receiving debit notes to the effect that I owed the common fee that was due in 2012 - 2013. The total demand, with interest, is now some 20,000 baht. I have made representations to the management company and the committee, but the debit notes continue to be issued in my name. The office manager has told me that ‘it is their accounting system and when the ‘borrowed’ money is repaid the debt will be cancelled’. Please could Sunbelt Asia tell me who is legally responsible for payment of the 2012 – 2013 common fee under these circumstances. If I am not responsible for the debt then what can I do to stop the debit notes being issued in my name? Thanks. The tenant is usually not responsible for common fees that were incurred prior to the lease agreement. The common fees would normally be owed by the owner, but you would need to check your current lease agreement and check with the new owner as to his contract with the previous owner. Sunbelt Asia Legal Advisors can review these documents for you and write a letter for the condo juristic person informing them to remove the debt notices. Government officials are confident that the construction of the Thai - Chinese high speed railway between Bangkok and Nong Khai will begin next month as scheduled as the Environmental Impact Assessment report has already been completed and will be forwarded to the Cabinet this month for approval. Construction on the first leg between Bangkok and Nakhon Ratchasima on the 3.5-km section of the railway between Klang Dong and Pang Asok stations in Nakhon Ratchasima is expected to begin by mid-December. Further portions will see designs submitted by the Chinese in the next six months. The second phase will link Nakhon Ratchasima with Nong Khai and bidding on those sections is expected to begin in the first quarter of next year. The Department of Business Development (DBD) reported last week that 6,003 new companies were established in October, an 18 percent increase from the same period last year. Total registered capital for the month was 40 billion baht. The department attributes the growth to government stimulus and growth in the tourism industry, real estate sector and restaurant industry, which were the three sectors with the highest rates of registration in October. In total 61,615 new businesses registered so far this year, up 14 percent compared to the same period last year. The government plans on beginning light rail projects in four key cities in Thailand next year; Chiang Mai, Phuket, Khon Kaen, and Nakhon Ratchasima are all slated to start construction next year. The feasibility study has already been completed for Phuket; the system will link Tha Nun in Phang Nga province to Phuket airport and Phuket airport to the inner city covering 60 kilometers. The completed design will be submitted to the Transport Ministry this month. Chiang Mai University has also completed a design plan; one with three lines covering 35 km or a second option with three lines covering a little over 40km. The system will be both above and below ground and is scheduled to propose the development project for Transport Ministry approval this month before submitting it to the Commission for Management of Land Traffic. Khon Kaen has also completed a design for a system that will cover 22.6 km and Nakhon Ratchasima, which is undergoing the EIA, has yet to be submitted. Qatar Airlines is expanding in Thailand with new direct routes to Pattaya, Chiang Mai and Krabi planned for January 2018 and December 2017 respectively. The airline will begin flights to Chiang Mai four times a week starting December 12 and is the first five-star Middle Eastern airline to start flights to Pattaya. The airline is also starting daily flights to Krabi starting December 1. The airline plans on offering four flights a week from Doha to U-Tapao International Airport starting January 28, 2018. The airline hopes to tap into the huge Russian and Ukrainian markets that visit the beach resort town. The airline currently operates 35 flights a week to Bangkok and 14 flights a week to Phuket. Bangkok Air has strengthened its partnership with the airline by pairing their frequent flyer mileage programs. The tie -up, which started November 1, allows Bangkok Airways' Flyer Bonus members to earn points when travelling on Qatar Airways flights and Qatar Airways' Qmiles members can earn and redeem their miles when travelling on Bangkok Airways operated flights. This busy fitness studio offers Pilates, yoga fly, Zumba dance, and a boxing studio in the heart of Bangkok. Surrounded by condos, office buildings in the heart of the central business district the studio has 130 active members and was established in 2015. Rent on the 285 sqm space is 179,550 baht a month and there are four full-time and two part-time employees with a total monthly payroll of 84,200 baht including commissions. Sales last year reached 6.5 million baht. There are 7 Pilates Reformer machines, twelve Yoga Fly stations, and a room for boxing and Zumba. The owner is selling as this is not their area of expertise and is looking to sell it to someone who understands the business and is interested in coming in to an already thriving studio with a great location and strong customer base. Near the popular Thonglor neighborhood, this stunning modern day spa has been in business since 2013. The spa has four VIP rooms with a shower in each room, and four Thai massage beds and three foot massage chairs. Well reviewed on Trip Advisor and featured in a popular online magazine, this full featured spa also offers Swedish massages and aromatherapy treatments as well as body scrubs and facial treatments. This popular craft beer bar was established in 2015 and has earned many good reviews and press coverage for its selection and cool atmosphere. Located in the Sathorn area, the bar is surrounded by condos and offices in a busy expat neighborhood. The 70 sqm bar seats 50 with a monthly rent of 30,000 baht on a 3 year lease. There are three full time staff and one part -time with a total monthly payroll of 32,000 baht. The business is open 6 days a week from 5 p.m. to 2 a.m. and last year earned a net profit of 245,000 baht on 1.9 million in sales. The owner has another business that takes up his time and so is looking to sell this one. Located in the heart of the old city in Chiang Mai, this charming guesthouse is walking distance from all major old city attractions including the Sunday Walking Street Market and the many beautiful temples found in the old city. Chiang Mai continues to see tourism grow and this guesthouse has taken advantage of that growth. The guesthouse has contracts with all the major booking agencies and has earned five star reviews on Trip Advisor and Airbnb for its friendly staff, comfortable rooms, charming décor and central location. The business was established in 2011 and has 560 sqm over four floors. Land with a chanote title is included in the sale, a rarity in this location. Each room is a large suite type room with minibar, en-suite, air conditioning and free WiFi throughout. The business has six full time staff with a total monthly payroll of 60,000 baht. 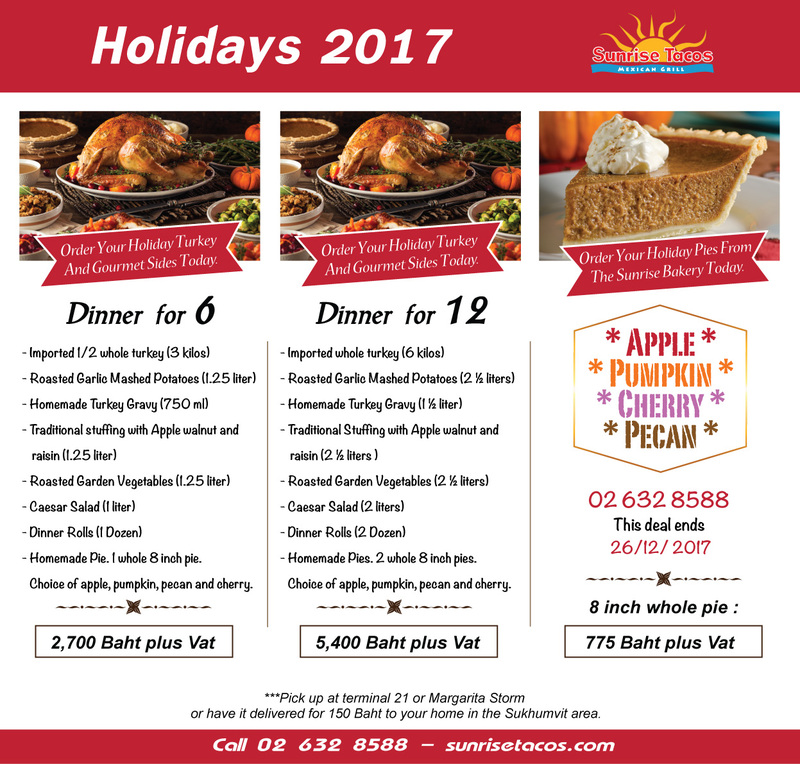 The guesthouse and restaurant saw total sales reach 4 million baht in 2016 with a net profit of 2.7 million baht. The owners are relocating and so are selling the business, the building and the land. Located in Pattaya, this high end furniture factory offers not just top quality fine furniture but also full service interior design for residential and commercial projects. The company has earned a reputation for attention to detail, unique and interesting design solutions and high quality products. Offering a wide variety furniture, including stand alone and built-ins, the company has a full - service interior design solution for its customers. This modern hotel is very close to Walking Street in Pattaya and has a high occupancy rate and good reviews from guests. The hotel is almost always full and has attracted a strong Middle Eastern clientele. There is a total of 18 rooms in the hotel, and there are a variety of rooms, all well-equipped and roomy. The hotel also has a coffee shop for guests and outside customers. The hotel has a good income each month, taking in 300,000 baht every month regularly. There are 4 staff with a total monthly payroll of 50,000 baht. The owner is offering two options; lease the operation with key money of 3.5 million for 3+3 years and rent 100,000 baht per month or purchase the property for 25 million baht. Have you always wanted to live the life in paradise? Now is your chance! This exclusive luxury resort has direct access to the beach on the peaceful and idyllic west coast of Koh Samui. Samui has developed a reputation for top luxury resorts that attract people from around the world. Established in 2008, the resort has two villas and four apartments, a pool and a large private home, guest villa and gym. The total land area is 3200 sqm fronting the beach with a full chanote title for the new owner. The villas are large, at 118 sqm each, while the four apartments are 32 sqm each. The private mansion is an enormous 760 sqm while the guest villa is 75 sqm. There is a fully fitted 75 sqm gym as well. Sales last year reached 3.8 million baht and there are four full time employees. The valuation of this project has been set at 195 million baht but the owners are keen to move off island for their children's education so are selling it at a must buy price of 150 million baht. With the opening of the ASEAN Economjic Community at the end of this year we at Sunrise Tacos see the potential for growth in the region. If you want to be a part of that potential let us know! We already have a branch in Phnom Penh and have added more around Thailand, including our new franchise in Chiang Mai, and are seeking committed, enthusiastic business minded people to join us. Contact [email protected] for more information.